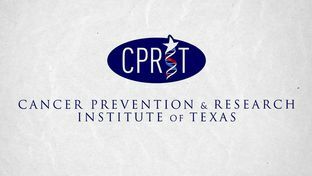 The Cancer Prevention and Research Institute of Texas (CPRIT) has announced the awarding of two new recruitment grants via its academic research program. The new grants, totaling $6,000,000, are earmarked to support recruitment of two top cancer scientists to Texas academic institutions. The candidates are an emerging researcher pursuing her first faculty appointment, and a highly-respected early-stage cancer researcher. After being vetted through CPRITs research review process, the two grants were recommended by the CPRIT Scientific Review Council and subsequently ratified by the agency’s Oversight Committee. 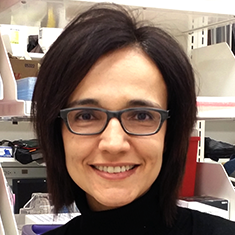 The awarded grants include $2,000,000 for a recruitment offer to first-time, tenure-track faculty member Margarida Santos, Ph.D., to bring her to the University of Texas M.D. Anderson Cancer Center at Houston from the National Cancer Institute at the National Institutes of Health where she has been a research fellow in the Laboratory of Genome Integrity at the NCI’s Center for Cancer Research at Bethesda, Maryland. A $4,000,000 Recruitment of Rising Stars grant enables a recruitment offer to bring Xiaochun Yu, M.D., Ph.D.to the University of Texas Southwestern Medical Center at Dallas from the University of Michigan Medical School at Ann Arbor. Research at Dr. Yu’s MMS laboratory has been focused on mechanisms of DNA damage response, chromatin remodeling, epigenetic modifications and their roles in tumorigenesis and development. [adrotate group=”15″]CPRIT notes that recruitment grants awarded indicate only approval to negotiate offers; and at the time of release, the candidates had not accepted the offers. Since its establishment in 2009, the Cancer Prevention and Research Institute of Texas has awarded $1.24 billion in grants to Texas researchers, institutions and organizations through its academic research, prevention and product development research programs. Programs made possible with CPRIT funding have reached all of the state’s 254 counties, brought more than 80 distinguished researchers to Texas, advanced scientific and clinical knowledge, and provided nearly two million dollars’ worth of life-saving education, training, prevention and early detection services to Texans.